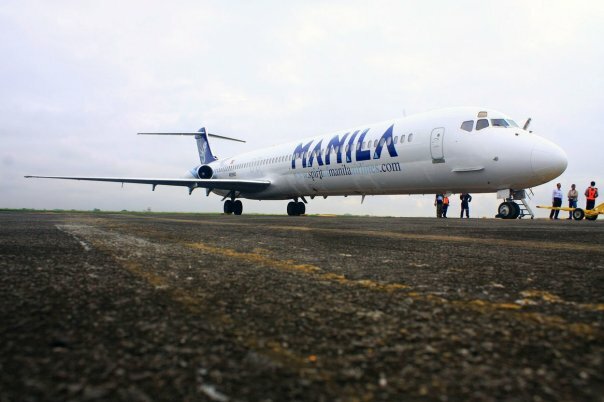 Did you know there is a new airline company called Spirit of Manila? Either I have been in the Stone Age or they have not been extensively advertised because I've never heard of it before. The name sounds creepy to me and their logo, a Sarimanok, looked like a fish with wings and a helmet. Maybe it was just my imagination. Anyway, I was still in disbelief even when my colleague showed me the website. I laughed and commented, "How do you travel? By astral projection?". One colleague added, "You will arrive only a spirit'. Spirit of Manila is a budget airline that has been flying from Diosdado Macapagal International Airport in Clarkfield, Pampanga to Taipei since late 2009. I did some research on the airline and found out they actually target to service Middle Eastern coutries and key destinations in Asia. They have flown to Bahrain in early 2010 but the service was discontinued shortly after. I wonder what happened.